Polish and Charms: Liebster Award! Hello! 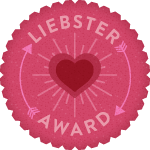 I was tagged by the lovely Diana from Nails By Diana with the Liebster Award! Thanks so much! Thanks for this--I hadn't known about a couple of the blogs you tagged. They are all good ones! Woop woop, thank you thank you! You're so sweet.